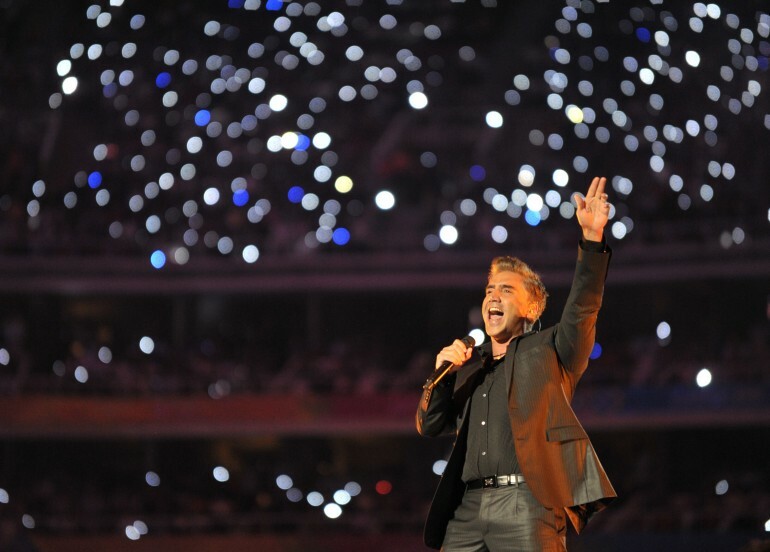 Alejandro Fernández New Single: ‘El Potrillo’ Releases ‘Quiero Que Vuelvas’; Listen Here! After the success of his latest albums, “Dos Mundos, Confidencias” and “Confidencias Reales,” Alejandro Fernández, the Mexican singer who has sold over 30 million albums worldwide, releases the first single “Quiero Que Vuelvas” from his new album coming soon. In a constant search to collaborate with authentic composers, Alejandro joined forces for the first time ever with Joss Favela, a great original songwriter, from Caitime, Sinaloa with a talent that transcends language barriers through his songs, without forgetting about his roots. “Quiero Que Vuelvas ” is a song that showcases a new minimalism where Alejandro Fernández reinvents the border between the regional and the pop genres, a style that reflects the places where the song was recorded: Guadalajara, Los Angeles and New York. It is a nostalgic song, but it is not sad. It showcases the strengths and weaknesses of all of us, such as pride, patience and hope. With this new single, Alejandro once again will transcend borders with his music, conquering international markets and showcasing why he is one of Latin America’s most prolific and iconic artists of our time. Alejandro Fernández was born in Mexico City and raised in Guadalajara. He studied to become an architect, but turned to singing in 1991 encouraged by his father, Vicente Fernández, a legendary Mexican ranchera singer. Alejandro is the youngest son of his family. He has two older brothers, Vicente, Jr. and Gerardo, and a sister, Alejandra. Alejandro began his musical career focused on ranchera music. He has a light tenor tessitura, leaning to spinto tenor, which have allowed him to perform romantic ballads, pop and ranchera music simultaneously. Since his 1997 album “Me Estoy Enamorando” he branched out successfully into pop music. In his live presentations, Alejandro begins the show with his ranchera repertoire, then he removes the “charro” outfit to sing pop. Over the course of his career he has been awarded two Latin Grammy Awards and a star on the Hollywood Walk of Fame. He has performed with artists such as Plácido Domingo, Marc Anthony, José Carreras, Chayanne, Amaia Montero, Joan Sebastian, Gloria Estefan, Malú, Julio Iglesias, Patricia Kaas, Miguel Bosé, Mario Frangoulis, Ednita Nazario, Yuri, Franco De Vita, Diego El Cigala, Nelly Furtado, Beyoncé Knowles, Christina Aguilera and Rod Stewart.